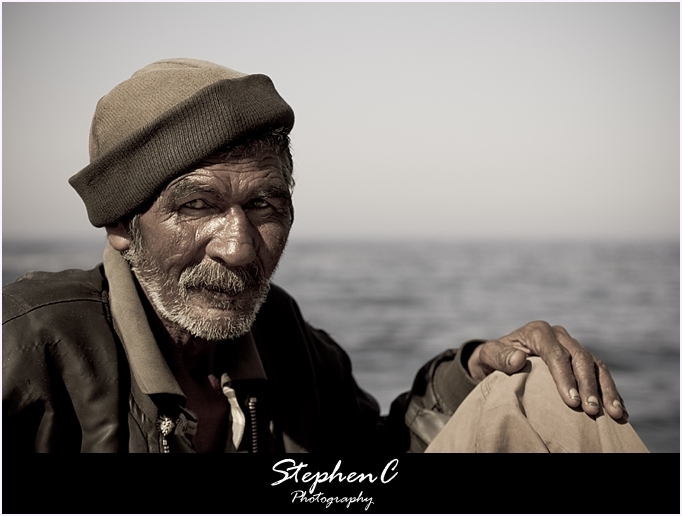 This is Ivan who I photographed at Kalk Bay Harbour this week. It was a beautiful day and I took myself down to the harbour for a walk. I had my camera with me with my nifty fifty lens – just in case something needed to be photographed. I sat under the lighthouse at the end of the pier enjoying the sun and reflections off the water. On the way back I noticed Ivan. 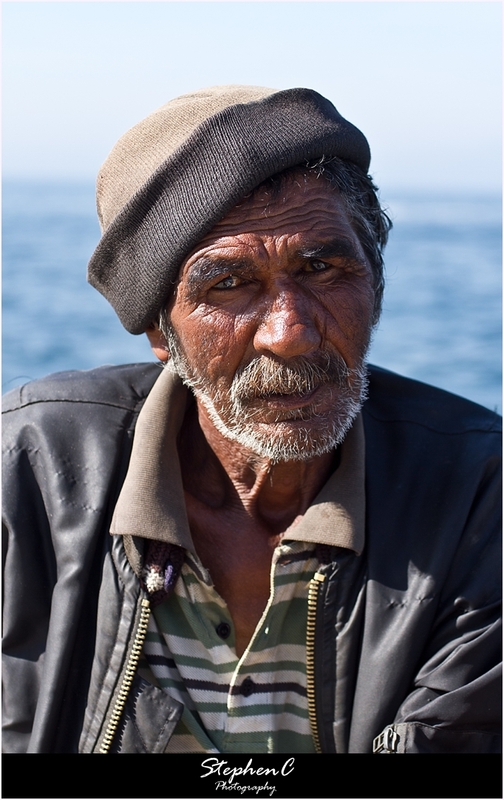 I walked past him, however, something made me turn back and introduce myself and ask him if he minded if I took his photo. He replied with a smile that would be fine and thanked me. I took 3 photos and showed them to him on camera. He sounded impressed. 🙂 We chatted a bit more and I asked if he had an email address for me to mail him the photos. He gave me his physical address – I posted some prints the following day and hope he enjoys them. One question that started a bit of a debate though was a question asking if I had paid Ivan for the photo. I didn’t. I also didn’t get the impression that Ivan was expecting to be paid for the photo. I’m not claiming right or wrong around paying or not. I always ask before taking personal photos of people in public and if they decline I appreciate that and accept that. If they answer I must pay them, then likewise I generally opt out of taking the photo. I have in the past deleted a photo off camera when a person agreed and then asked for money. That’s just me. On another note should someone want to purchase a print of my photos of Ivan I would first seek his permission and then would not hesitate to share the proceeds with him. I recall one of my first overseas trips was to Morocco. I visited Marrakesh and the famous market on the town square. This was back in the film days and photography was not as pervasive as it is today but still every vendor who saw the camera asked for money if I took their photo. That left me with a very otherwise feeling of this vibrant, colourful place. I would have had to walk back to Cape Town if I had paid every person who asked for money. I also came away with far fewer photos than I’d hoped. I’ll continue to ask permission and maybe next engage with the person who asks for money and try to understand it from his or her perspective. Based on that I may, or may not, take the photo.